Do you know avocados are one of the world’s best food for babies. As its rich in saturated fat which babies need it for brain development. Hence its often referred as natures perfect food. In India its known as ‘Butter Fruit ‘. 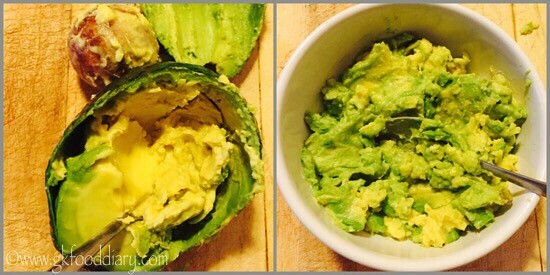 Avocados are one of the best first food for baby because of its texture and creaminess. It can be given from 6 months. 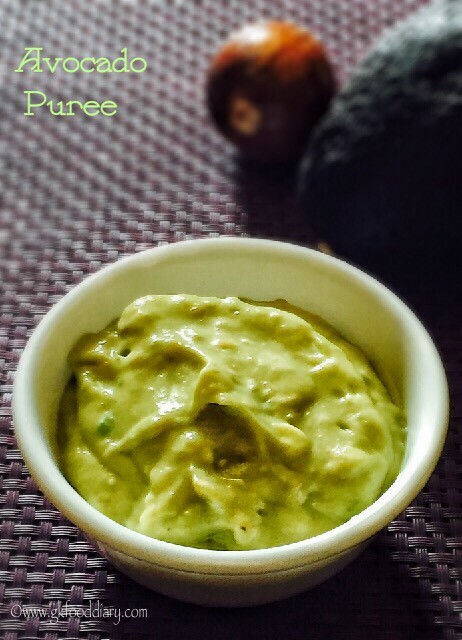 Here is how to make avocado puree for babies. 2. Remove the big seed in the center part and just scoop out the inner part using a spoon. Collect them in a bowl. Discard the outer layers and seed. 3. Cut the bananas and keep it ready. 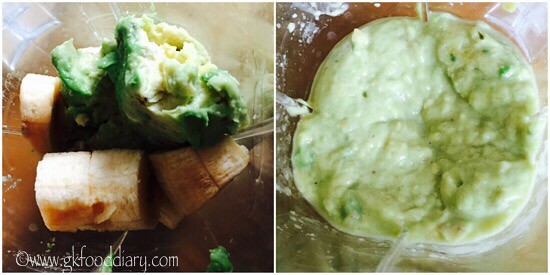 Then take the scooped avocado and chopped bananas in a blender. Grind it to a smooth puree. Then add breastmilk or formula milk to adjust consistency. 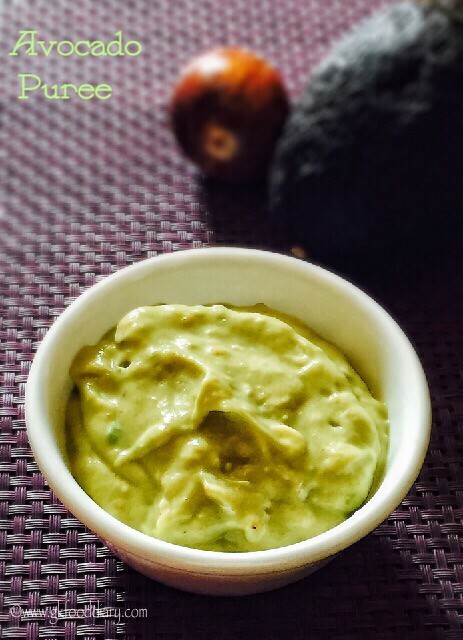 The creamy avocado puree is ready. Hope you liked this recipe. 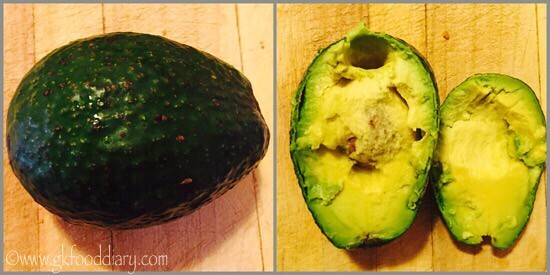 Choose ripe avocados for best results. Otherwise it may taste bitter. You can add either steamed apples, bananas or mangoes to this puree. You can make it plain too. Does avacoda cause cold in children ? 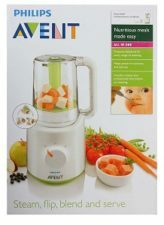 Where can I i find good avocado to feed my baby in Chennai? chances are very less..as avocados are rich in fiber. Can I freeze the mixture ?